The written word is more than merely a piece of content; it is the method we use to share messages and form relationships. My goal is to learn and fulfill your writing needs....Read moreThe written word is more than merely a piece of content; it is the method we use to share messages and form relationships. My goal is to learn and fulfill your writing needs. I can deliver your stories, information, and descriptions, clearly and creatively, to attract your target audience. As a learning leader and wordsmith, I am eager to grow in my abilities, through topic research, and by creating SEO-friendly articles. 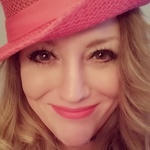 I provide exceptional value and produce share-worthy, original content, making your message, relatable, and me, your go-to writer for all of your content needs!